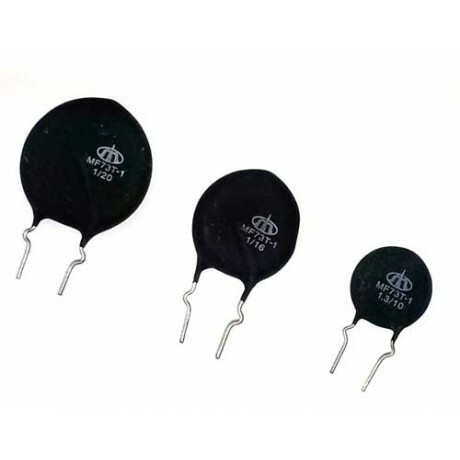 Power NTC Thermistor The MF73T-1 series Power NTC Thermistors provide inrush current suppression for sensitive electronics. Connecting a MF73T-1 in series with the power source will limit the current surges typically created at turn on. • High power switching power supplies, Power conversion, UPS power. • High power battery charger, electric vehicle battery charger. • High power LED light, high power electronic energy saving lamps and other lamps. • Small size, high power, reliable surge current protection.